No trip to Nashville would be complete with tasting some of the epic BBQ that the town is known for, right? When my family and I planned our next travel adventure to Nashville, which just so happens to be the heart of BBQ country, we couldn’t wait to test our taste buds out with some authentic and delicious BBQ. Lucky for us, we didn’t have to search long for one of the best restaurants in town, Peg Leg Porker. 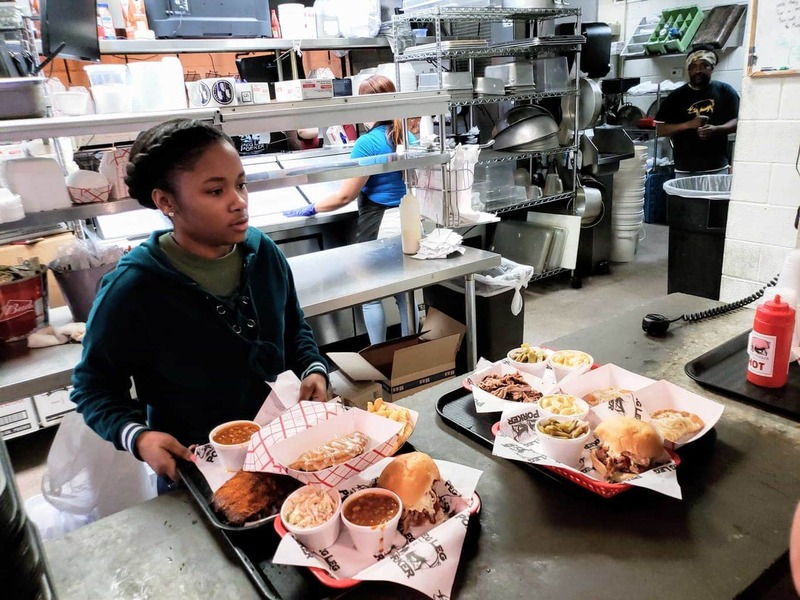 I’d been doing my research and knew that there was one place that stood out from all the rest in terms of that delicious BBQ flavor that I was craving…The BBQ food at Peg LegPorker in Nashville is some of the best you’ll ever have! We were provided a complimentary meal in exchange for this review but our opinions are always our own. When I saw the crowds of people just waiting to get inside for lunch, I knew that this was the place to be. Literally every single day, the line is out the door. If that many people are waiting and coming back for more, then you know without a doubt that their BBQ is delicious. You will smell the delicious BBQ just standing outside the door. The place was packed and the food was served to perfection. The smiles, the customer service, and the passion for great food were on display from the moment that we entered the door. When you are running a restaurant as successful and as busy as this one, keeping up that hospitality factor isn’t always a simple feat. At Peg Leg Porker, they are truly grateful for every one of their customers. Not only is this restaurant 100% family-friendly, but it’s a family venture as well. I loved the fact that I was eating at an establishment that was owned and operated proudly by the group effort of a tightly knit family. The awesome customer service that their staff provided indicated to me that they take great pride in working at Peg Leg Porker. 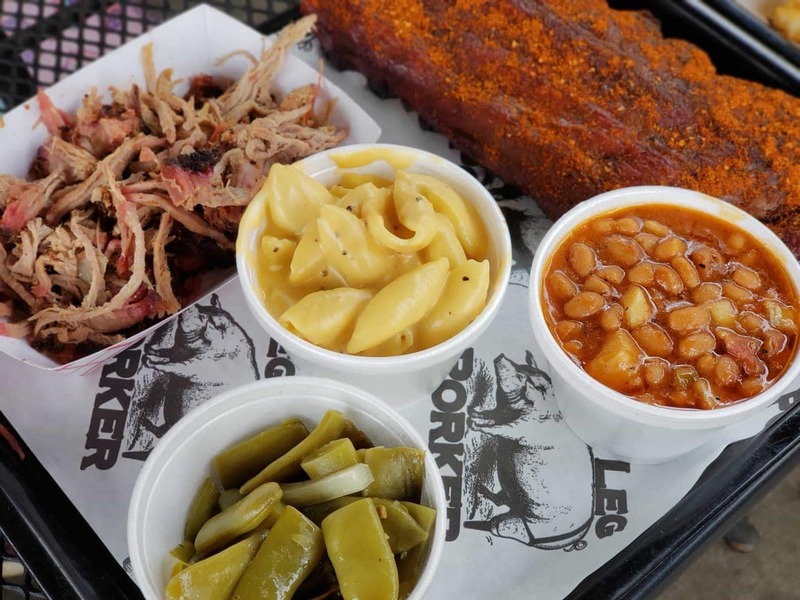 Peg Leg Porker BBQ is Award-Winning! 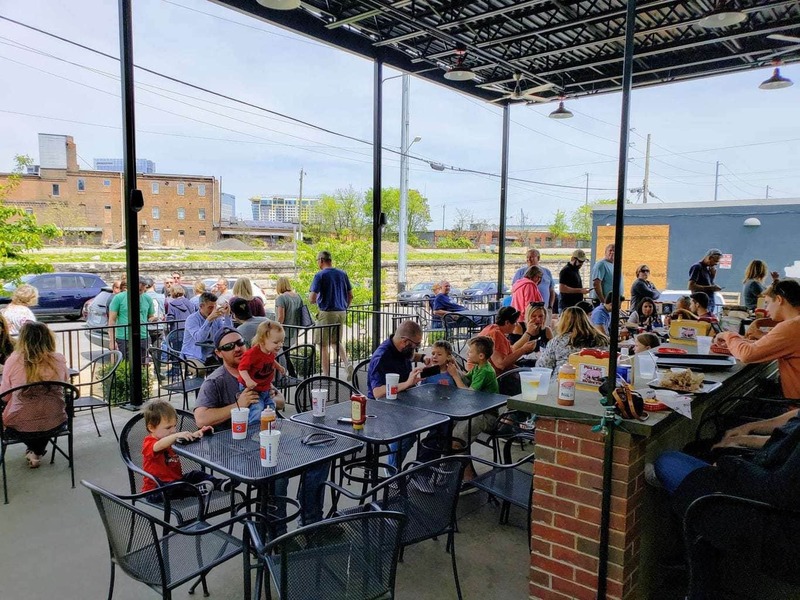 They’ve been voted the #1 BBQ joint in Nashville three years in a row! If that doesn’t impress you, I don’t know what will! To be considered the BEST BBQ joint in Nashville is quite the honor. Trust me, it’s 100% deserved and rightfully so. Not only do they excel in every aspect of BBQing, but their spices, rubs, and mixtures are all delicious. To say that BBQing is their passion is truly an understatement. Don’t worry about being served anything less than fresh at this delicious restaurant. Every single day they smoke their meats to get that truly fresh and best smokey flavor. Their side dishes are made homemade and from scratch daily. While they are known for their BBQ, their side dishes are also tasty. When it comes to BBQ, my mind immediately goes towards slabs of ribs covered in BBQ sauce. 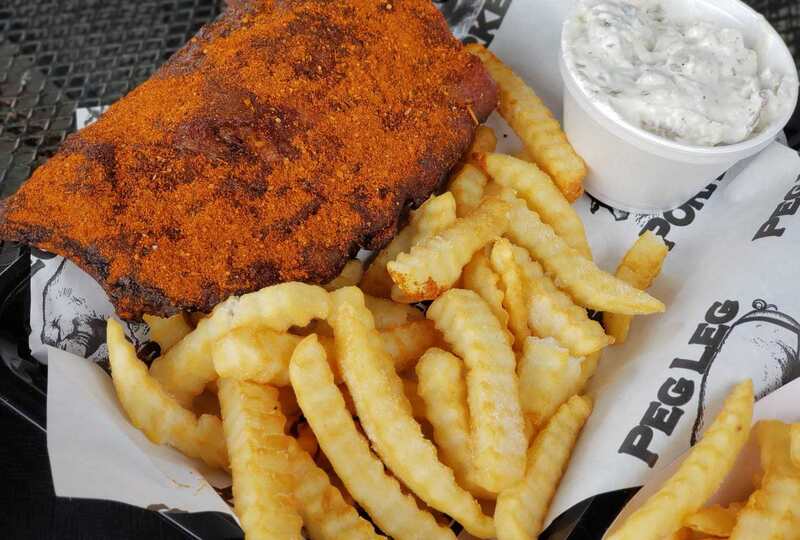 It’s just the way I’ve always eaten it…but at Peg Leg Porker, they introduced to me the newest love of my BBQ life, dry rub. I’ve never experienced such flavorful spices massaged perfectly into the meat as I did here. To be honest, I didn’t even miss the BBQ sauce at all. It’s no wonder that people travel for miles just to get a plate or two of this amazing BBQ. It truly is top-notch. 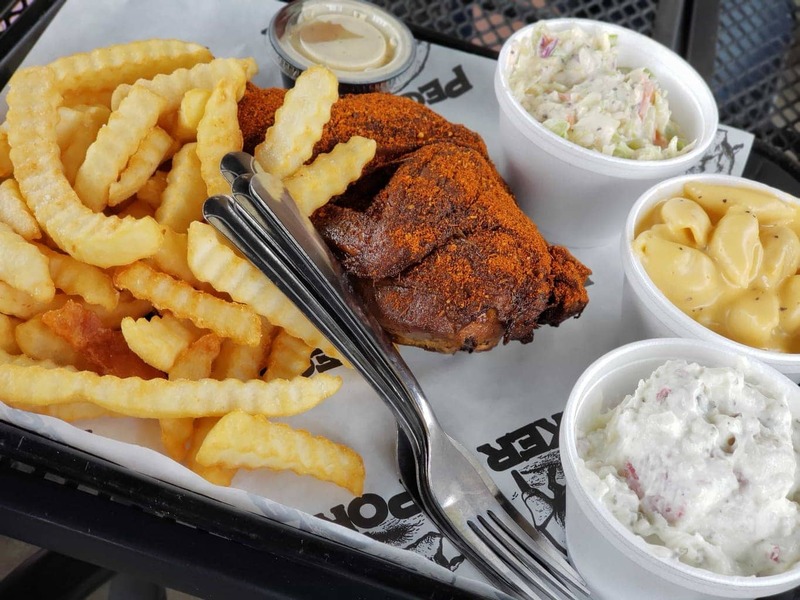 If you find yourself in the Nashville area and looking for a great place for lunch or dinner, make certain that Peg Leg Porker is on your stop. They do an amazing job of serving some of the best BBQ that you’ll ever taste in your life. You won’t leave there hungry, and there isn’t a bad thing on the menu. Have fun with all the amazing BBQ options, and don’t forget the sides! Get a little to-go box of one of these fried pies…it’s the perfect way to end a perfect meal!